Welcome to the LWF website for the 500th anniversary of the Reformation in 2017. The Protestant Reformation that Martin Luther started in 16th century Germany and Europe soon reached other parts of the world. With followers of Lutheranism today in nearly 80 countries in all continents, the LWF affirms the global nature of the Reformation as it is embraced by citizens of diverse cultures, living out their faith among other Christians and religions within dynamic social and political contexts. The 2017 web site will help connect the over 72 million members of the LWF communion around issues exploring the theological significance of the Reformation for Lutheran existence as a church. The site also highlights historical consequences of the Reformation that are important for the past and future of our churches. 31 October 1517: Luther posts his 95 Thesis against clerical buses and the sales of indulgences ont eh door of the Castle Church in Wittenberg, Germany. 1648: Ending the the Thirty Years' War between the Catholics and Prostestants in Europe, the Treaty of Westphalia established the priniciple of cuius regio, eius religio, meaning the religion of the ruler dictates the religion of those ruled. The principle state sovereignty that emerged as a result of this treaty served as the basis for the modern nation state. 1706: Both the Danish Church and the King send Bartholomäus Ziegenbalg to Tranquebar, South India. 1800s: Several Lutheran mission societies from Germany and Scandinavia settle in different parts of Africa, and a growing number of congregations form in North and Latin America. 1947: The Lutheran World Federation (LWF), comprising of 47 member churches, is founded in Lund, Sweden. 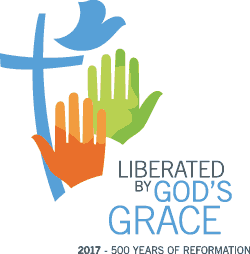 2017: The Lutheran World Federation holds is Twelfth Assembly in Windhoek, Namibia, under the theme: "Liberated by God's Grace."